Sometimes when photographers are looking through history files, they come across an image they like now, perhaps better than during the initial edit. This is one of those. 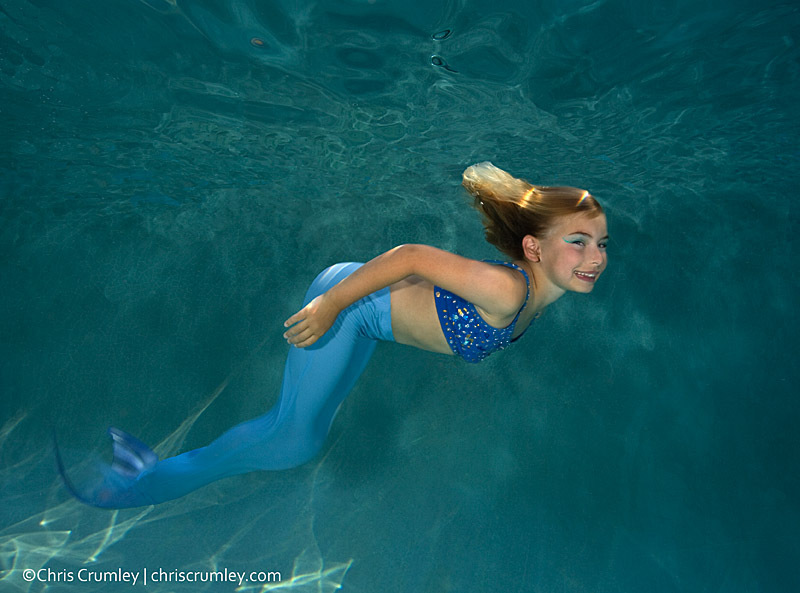 I was helping a friend prepare for a shoot and offered to show her a child's mermaid costume. This image of a young British girl was shot last summer and it made a good sample of an inexpensive, but workable costume. The model is one of those outgoing fearless happy young kids in water. But, you could tell that, right?